We hold two pack-wide race events during the year. The Raingutter Regatta in September and the Pinewood Derby in January. Boats and cars are built using kits provided by the pack. The scout should do the bulk of the design and building with parental supervision. Awards are given out for the 1st, 2nd, and 3rd place finishers as well as for boat and car design. Races encourage creativity, friendly competition, and fun! 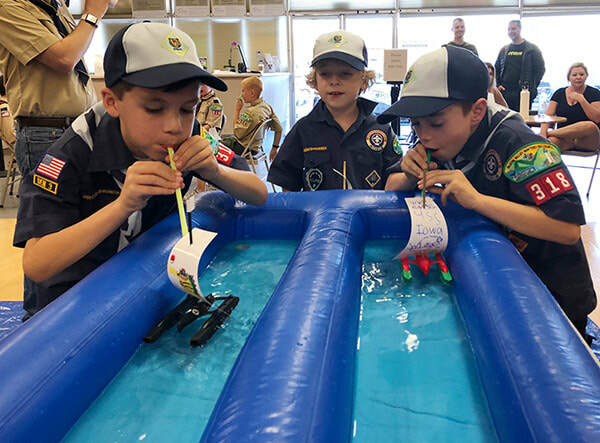 During the Raingutter Regatta, scouts blow air on the sails of their boat with a straw to move them through the water. We use inflatable 10-foot long "raingutters" propped up on tables and filled with water. Four kids race at a time. The overall winner is determined by an elimination system. Boats are built using standard BSA kits supplied by the pack. The boat can be painted and decorated by the scout to show individuality and design. For more information, read the official rules here. 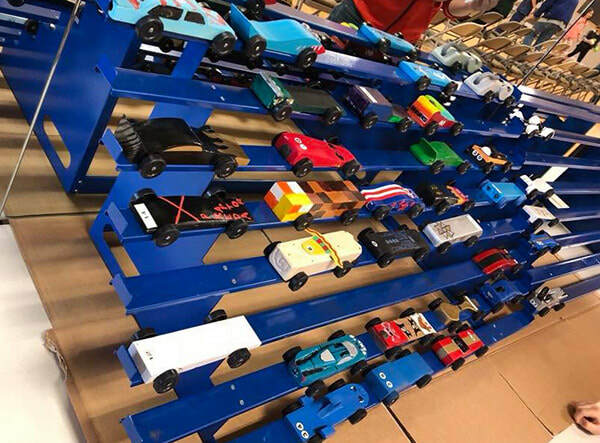 The Pinewood Derby is very similar to the Raingutter Regatta except with cars! 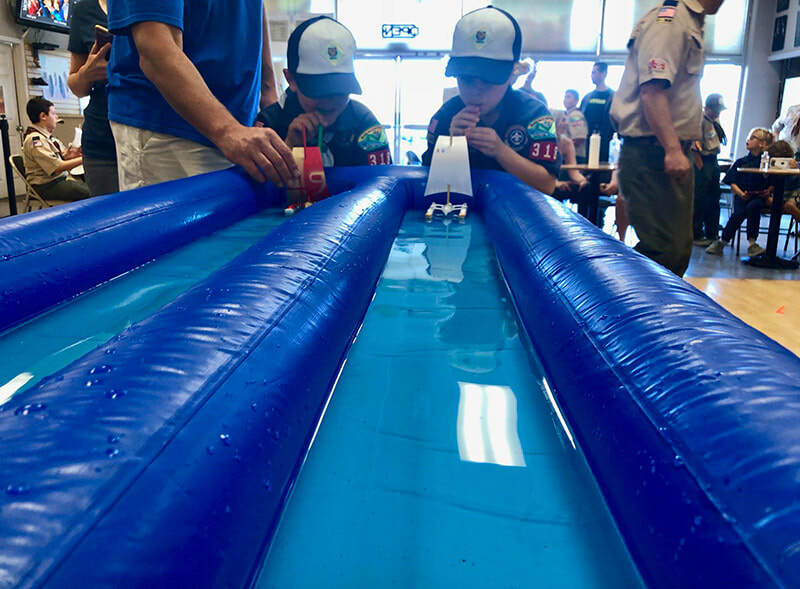 With parental supervision, scouts build their own cars from pack-provided kits containing a block of wood, plastic wheels, and metal axles. Modifications to the car's design can be made (within the rules) to improve speed and/or appearance. Cars race down a four-lane track (four cars at a time). The overall winner is determined by an elimination system. For more details, read the official rules here.